It is with great pleasure that I announce that I am the new president of the Muskwa Club, Inc. I will be taking over for William Whittenbury, who is heading off to Northwestern University (but don’t worry, he will still be running the college department of Muskwa). I am extremely excited as to what the next few years will hold for me and the Muskwa Club, and whatever happens, I know that we will be making a huge difference in this world. Feel free to watch my official inauguration speech below. There’s no other way to put it. The Vaquita is in a terrible situation. We must look at the silver linings of the very dark storm cloud that is the Vaquita’s situation. The Mexican President, Enrique Peña Nieto, and his committees are being extremely helpful, which is obviously a huge step. There are many confidential progressions being made in the “Vaquita Headquarters,” many of which are positive. Finally, many of you remember the Vaquita Blanket Challenge. It was a challenge (much like the ALS Ice Bucket one) where we encouraged participants to get wrapped up in two blankets and try to escape in under 97 seconds (the number of Vaquitas left). Though there were some wonderful participants, many people either didn’t have the time to film themselves doing this or simply were embarrassed. Therefore, the t-shirt campaign for people who had taken the challenge did not thrive by any means. In light of this, I have created a new t-shirt campaign that isn’t related to the challenge. Please check it out, and hopefully purchase one for yourself or a loved one (it makes the perfect Christmas gift for that animal lover in your life). Our goal is 50 shirts, but I believe we can surpass that. 100% of profits go to the Muskwa Club, Inc., now an official non-profit organization, and you can even make an additional donation directly to them. The campaign runs the entire month of November, so you will receive the shirts by Christmas. I am deeply saddened by the news that there are likely less than 100 Vaquitas remaining on the planet, with under 25 of them being reproductive females. The International Vaquita Recovery Team, CIRVA, has just published the findings of their 5th meeting here: http://www.iucn-csg.org/index.php/2014/08/02/the-vaquita-new-report-from-cirva-released/, with more information coming soon from the Mexican Presidential Commission on Vaquita Conservation at this site: http://www.iucn-csg.org/. The issue has quickly become a worldwide news story, being covered by the Washington Post (below) and ABC News among others. We all feel a little hopeless right now. It seems almost impossible to save the Vaquita. But I’m here to tell you that the fight is not over. Everybody has fought too hard for too long to give up now. These next few years could go down in history as the biggest success story in conservation history if we can turn things around. It is now in the hands of our governments, so we need to do something to get them to permanently remove gillnets from the Vaquita’s range. Hopefully there are some petitions in the works, so in the meantime, please use social media to our advantage. Spread the word in any way you can. It will be unexplainably devastating if we lose the Vaquita, so please, everybody, we need to work together and do something to save everyone’s favorite little Mexican porpoise. Check back here for the latest updates on the situation. Thank you. The table that Mrs. Whittenbury manned to raise awareness for the Vaquita and my book. I cannot thank Mrs. Whittenbury enough for all the help she has given me with the book, and I might not have even gotten it published in the first place if she didn’t refer me to CreateSpace. Also, today my 9-year-old sister made the clay Vaquitas below. Please feel free to send me pictures of your Vaquita crafts at gl.tamarin123@gmail.com (especially your recipes) so I can post them on this blog. Thanks! For my 200th post, I am asking you to email President Obama with this message asking him to make July 6 National Save the Vaquita Day. His “Other Inquiries” email address is support@barackobama.com. Thanks from the Muskwa Club! We have an easy, no-cost way for you to make a critical difference to precious lives. We, the Muskwa Club, would like you to proclaim July 6, 2013 as “National Save the Vaquita Day.” The Muskwa Club was started by kids to promote value-added activities for Middle School and High School age students. We take field trips to places of educational interest, we build engineering projects, we host a speaker series to showcase our members’ passions, and we engage in community service activities. Saving the Vaquita has become our number one service project. The Vaquita is the smallest, arguably cutest and definitely most endangered marine mammal. These precious porpoises live in the Sea of Cortez and have a range only one quarter the size of metropolitan Los Angeles. Only about 170 Vaquita remain in existence today and approximately 30 die each year due to accidental gill net entanglement. If nothing more is done, they will be functionally extinct by 2017. We can’t let this happen! Solutions have been created such as Vaquita safe nets, and the Mexican government is working on the problem. However, the current economic climate necessitates that we all pitch in and help our neighbors to the south. 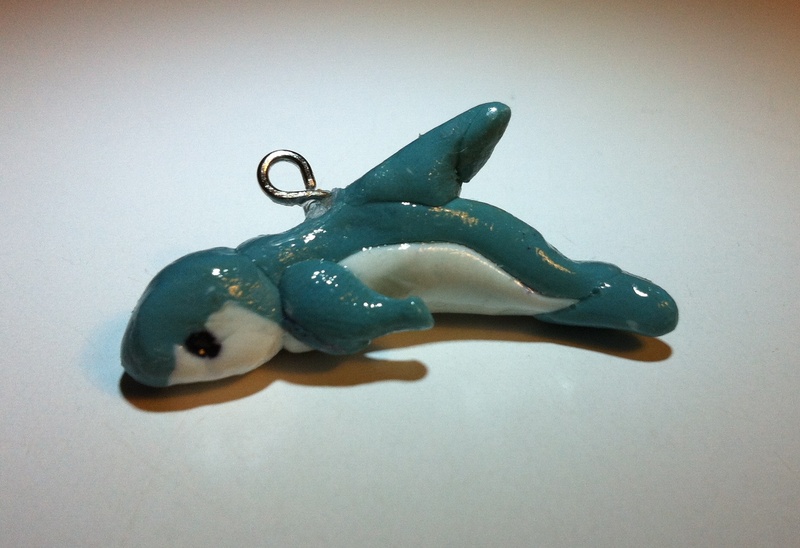 Our club is working very hard to raise awareness of the Vaquita. The more people who know about these beloved porpoises, the more likely they will receive what they need to survive extinction. 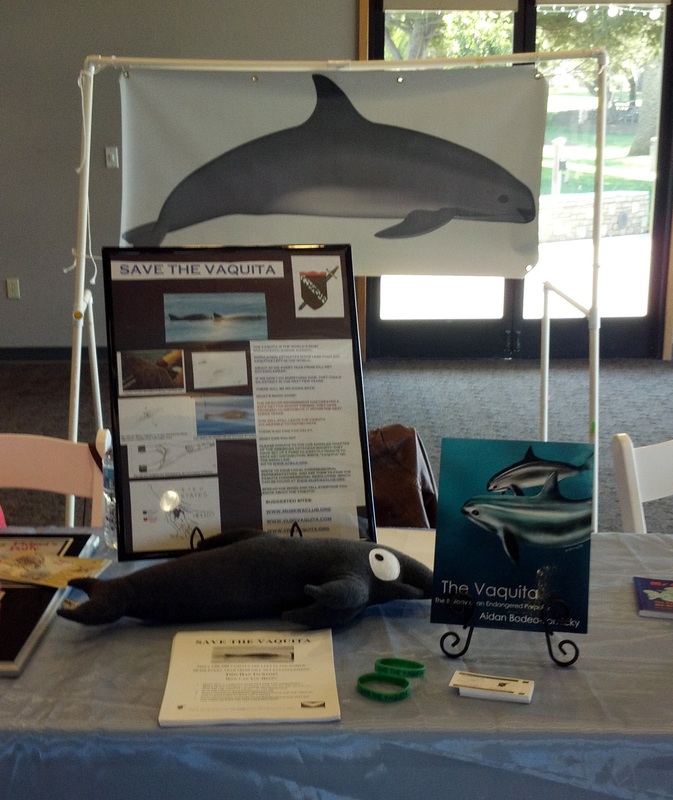 So far we have hosted five Vaquita awareness tables at local events in the Southern California area. We plan to host at least three more during World Ocean’s Day on both the west and east coasts of the US. However, our really big push will be on July 6, 2013 when we will host a tri-coastal event. The Waikiki Aquarium in your home State, and the Cabrillo Marine Aquarium in San Pedro, CA have confirmed. The National Aquarium is very interested in allowing us to host a table there and we have tentative agreements with seven more aquariums across the country. All we need from you is to officially proclaim the day “National Save the Vaquita Day.” That will help promote media attention to our efforts, show that you care about this important international issue, and shine a much needed light on the plight of the Vaquita. In addition to our awareness table efforts, we are also producing a series of videos about the Vaquita, have our own website, Facebook page, Twitter account, and YouTube Channel, and we speak locally to school science classes about the Vaquita. We’ve established alliances with the American Cetacean Society, Los Serenos de Pt. Vicente, Viva Vaquita, and V-log. At our request, the American Cetacean Society, Los Angeles Chapter has set up a fund to which people can contribute toward the net switch out program. We do not collect money, being minors, but we feel we can be a force for change. Please help us! About a week ago, the Mexican government took an enormous step in saving the Vaquita. The government has created something called the “Official Norm,” a regulation that plans on completely switching out all gillnets with Vaquita-safe trawls in the next 3 years. They hope to switch out 30% this year, 30% next year, and 40% in the third year. This giant step was taken due to the over 38,000 signatures on WWF’s petition to Enrique Peña Nieto, the Mexican president. Read WWF’s article about this landmark announcement: http://wwf.panda.org/wwf_news/?208988%2FMexico-approves-measure-to-save-worlds-rarest-marine-mammal. To donate to the switch-out through the American Cetacean Society Los Angeles Chapter’s new switch-out charity, send a check by mail to: P.O. Box 1208, San Pedro, CA 90733-1208. It is very important that you write “Vaquita” on the memo line for it to go to the switch-out. A Resolution to Support Mexico in its Effort to Prevent the Extinction of the Vaquita. FURTHER RESOLVED, That the government of the United States highly recommends that the government of Mexico develop sustainable finfishing gear as a further guarantor of the Vaquita’s survival. Introduced for Congressional Debate by (will be filled in shortly).